Formed in 2003 by four brothers and sisters in Gatineau, the Quatuor Despax regularly gives concerts in the national capital of Canada, in the Outaouais as well as in Montreal. They have performed at various festivals and concert series in Ontario and Quebec such as: the Westben Festival (near Toronto), the Alexandria Festival, the Gatineau Classic Tuesdays series, the Mont-des-Arts Mont-St-Hilaire , the Abitibi-Témiscamingue Classical Festival (Val d'Or), the Ponticello Concerts in Gatineau, Ottawa's Music and Beyond (Ottawa), the Chamberfest City Series (Ottawa), the Luminato Festival (Toronto) and the L'Art de Music (Gatineau). Quatuor Despax also performs overseas either in France (in the south-west, in Paris, in Normandy); as well as in Italy during festivals or concert series: Polincontri Classica (Torino), Rivolimusica (Rivoli), Festival Echos (Alessandria) or Osimo. In the summer of 2006, he won the "Bic Islands Concerts" (Québec) competition. From 2011 to 2013, he was in residence at the Saint-Jean-Baptiste Church in Montreal. 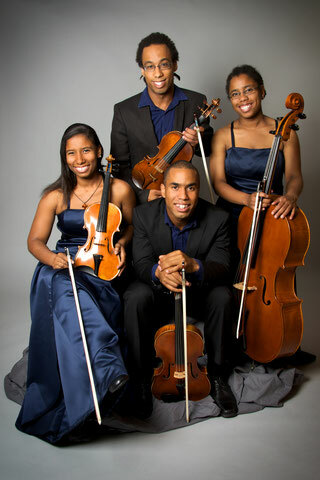 Since September 2013, Quatuor Despax has been in residence at the Notre-Dame-de-la-Guadeloupe Church in Gatineau where it has a series of concerts. Experience Quatuor Despax at SweetWater 2018.